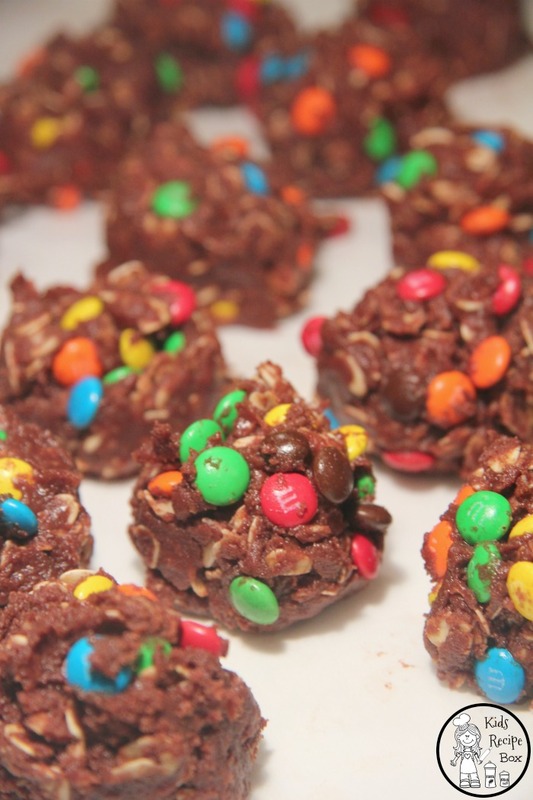 For treat Sunday this week, we made Fudgy No Bake Cookies with M&Ms. 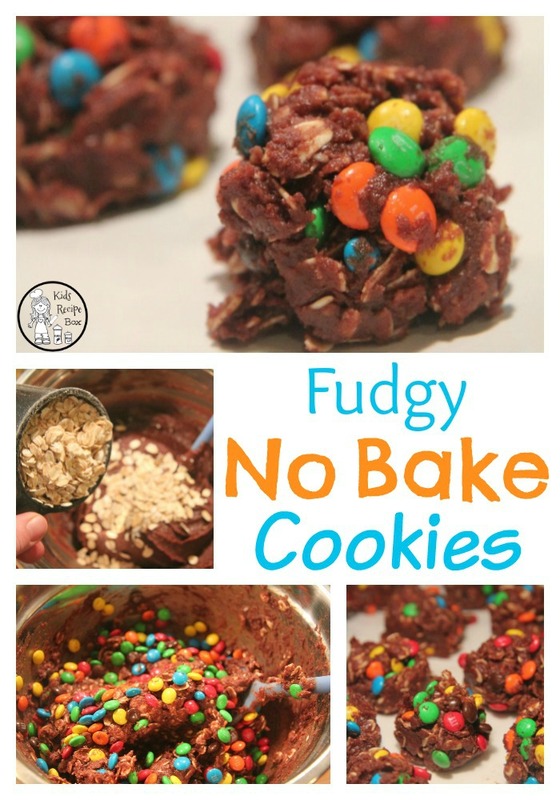 From one no bake cookie fan to another, I have to tell you that these were incredible. 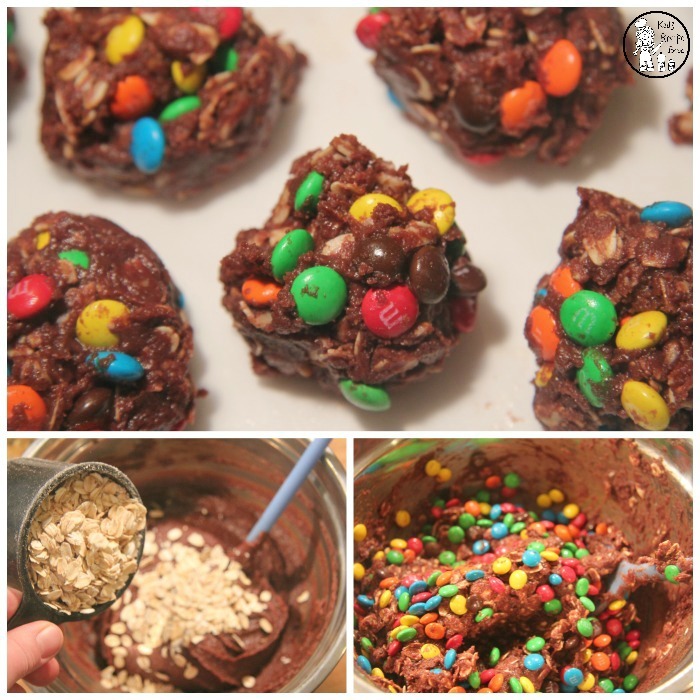 We changed up the traditional recipe to avoid any chance of runny or crumbly cookies. 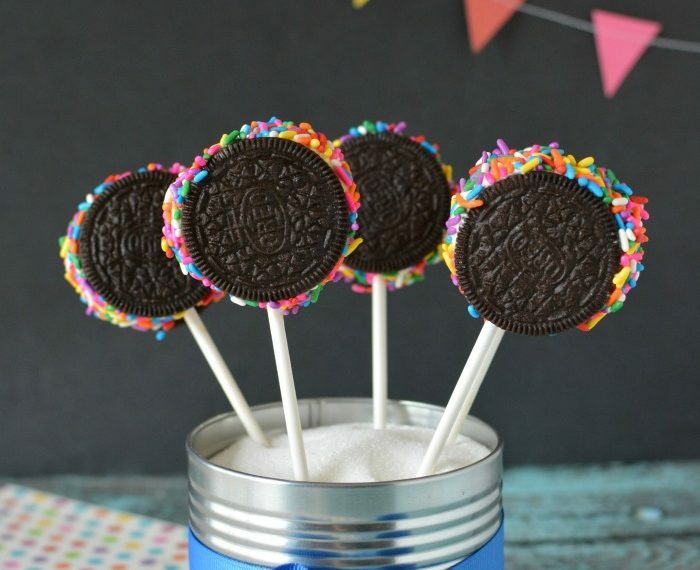 They’ll turn out fudgy, round, and delicious every single time. Another bonus of our special ingredient is that there is no stove top required. The only ingredient that requires heat is the butter, and just enough to barely melt it. This means that the dough is about room temperature which allows you to spruce them up with fun add ins like M&Ms. 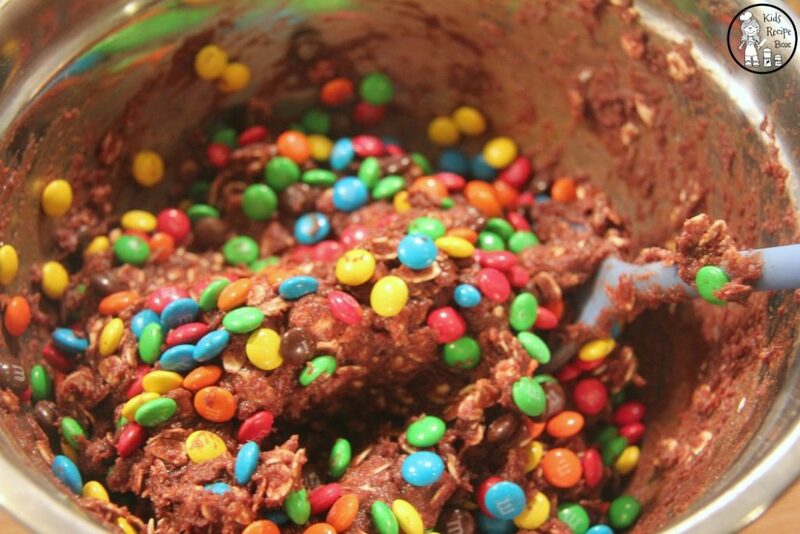 We tried adding M&Ms to traditional no bake cookie recipes, and I have to tell you, it was a complete flop. 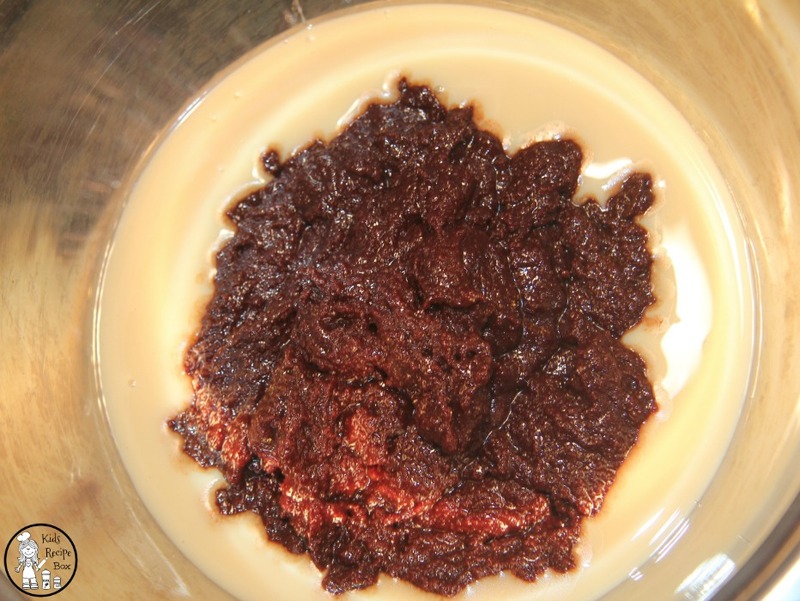 The candies melted, broke apart, and turned into a complete mess. Chocolate chips would do the same thing. They just don’t work. I’ll let you in on our little secret, sweetened condensed milk. The texture of this milk allows you to get the thick, fudgy texture you want without having to boil anything. 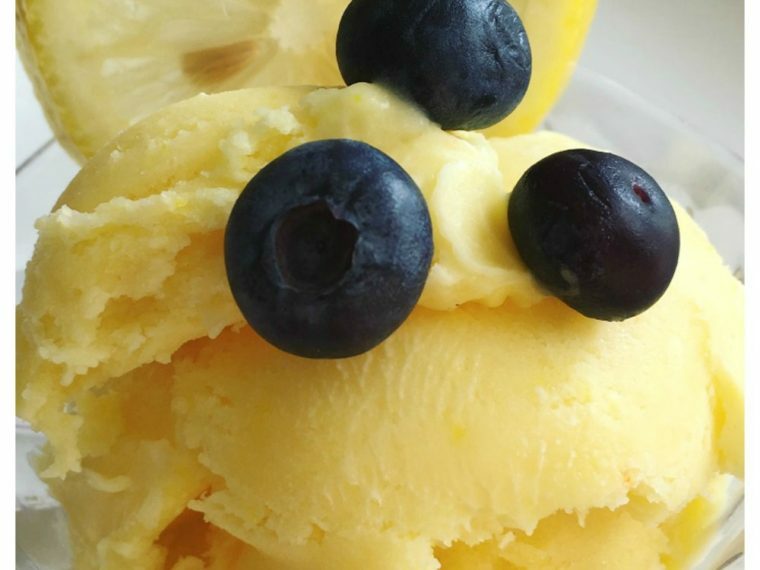 Your cookie dough is not warm, and you can pile in the fun toppings to your hearts content. It will also give you a consistent cookie dough every time without having to worry about proper boiling time and heat. Here is the quick and easy recipe. 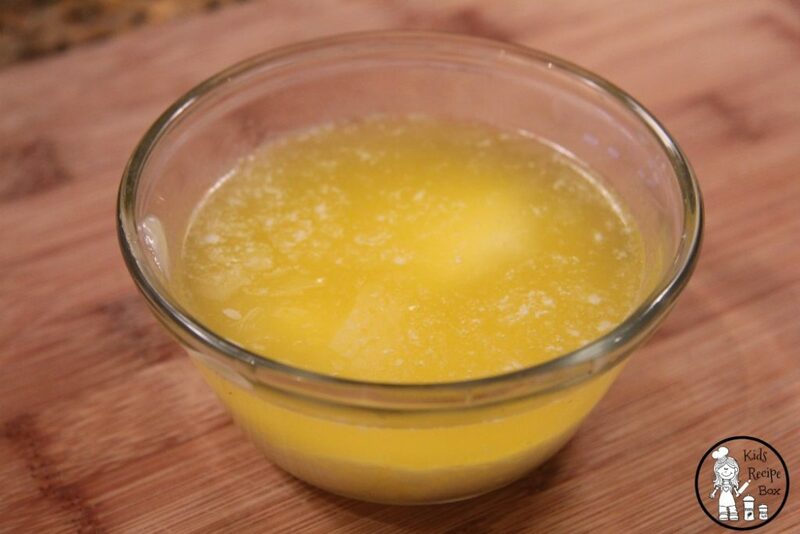 Melt your butter in a dish, and then quickly stir in the sugar. The warm butter will help dissolve the sugar granules. 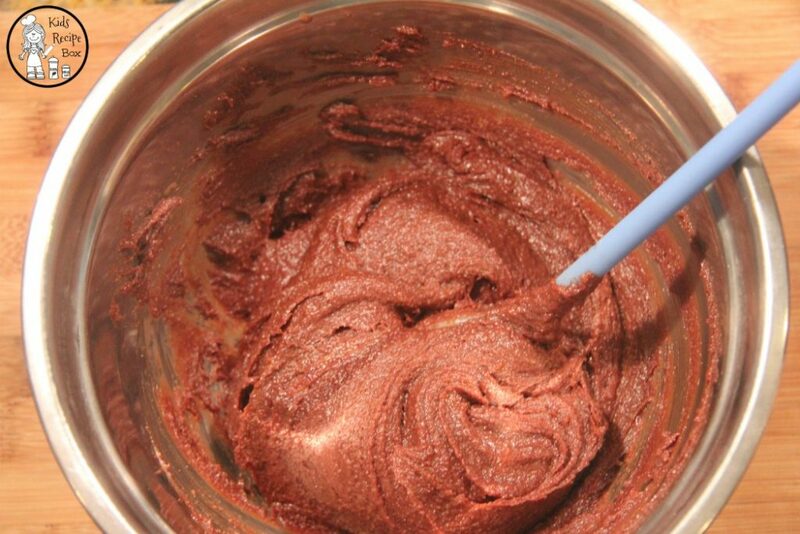 Mix in the cocoa powder, and stir till smooth. Combine the cocoa mixture with the milk, peanut butter, and vanilla. 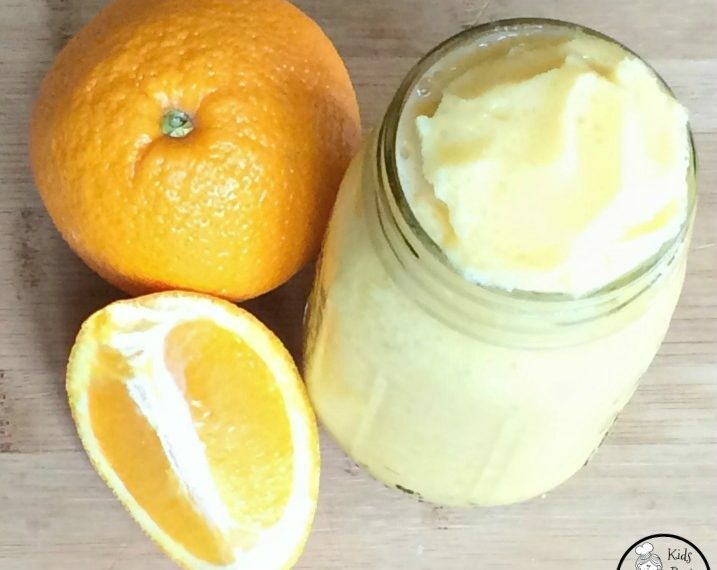 Mix until all of the ingredients are completely incorporated. 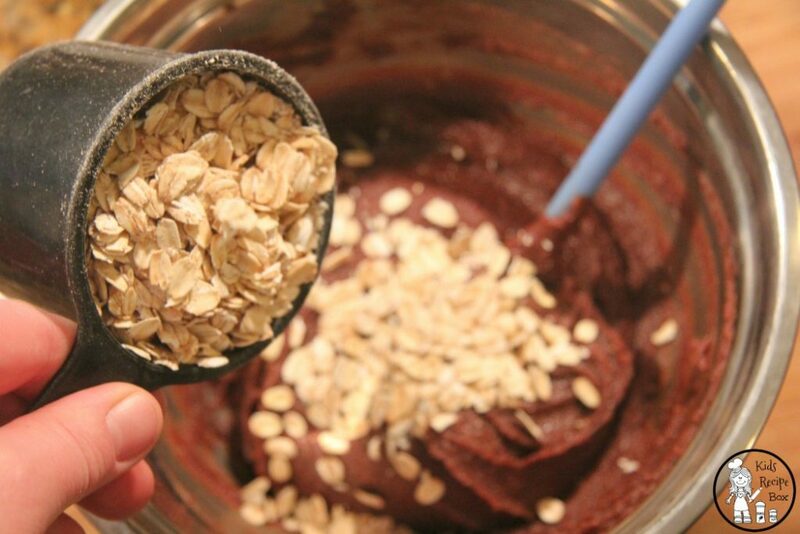 Add the oats and stir. Finally, add the M&Ms. Fold them in gently into the dough. Line a baking sheet with wax paper. Spoon the dough out onto the baking sheet, and let the cookies set for about 20 minutes. 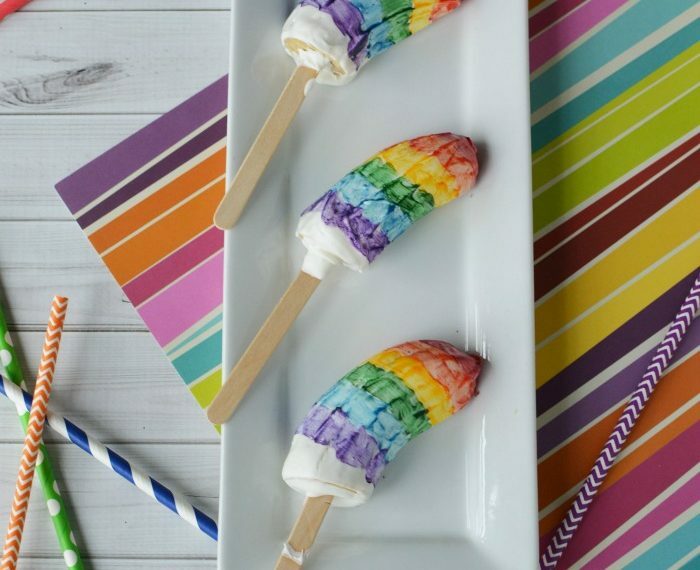 You can cool them in the refrigerator or set them out on the counter. Then serve. 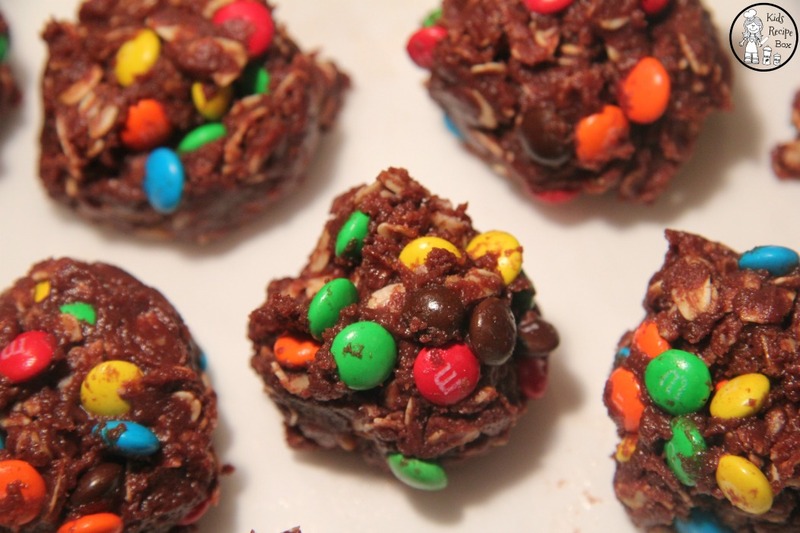 I hope you get a chance to try out these amazing Fudgy No Bake Cookies with M&Ms. Bring them to a potluck, a party, or dinner with the family. 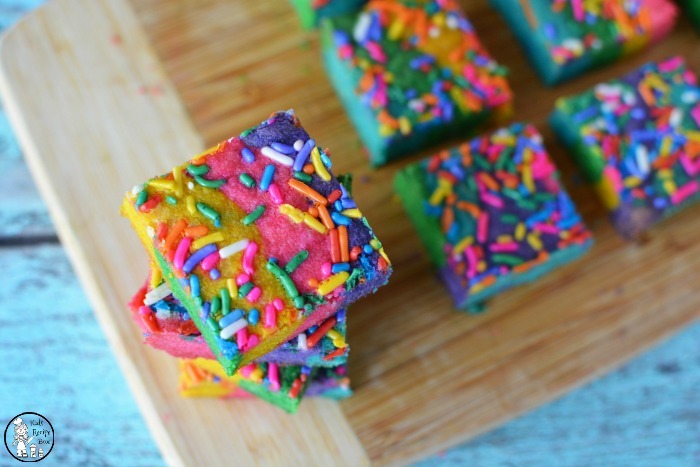 This recipe is hard to mess up, so let the kids help out. They’ll enjoy cooking right along with you, particularly if they get to snitch. Hey, there’s no eggs in it. This cookie dough is fair game.